In addition to being a professor of psychiatry at Columbia University, she grew up with a brother who’d win a Nobel Prize. Gail was kind enough to talk to her about what she learned about the genius of different thinkers, including some who are dyslexic. It turns out, Gail became interested in the sorts of minds that lead to be breakthroughs in ideas. Gail got a headstart on study because her brother is Nobel Prize winning astrophysicist Adam Riess (Dark Matter). Adam doesn’t have any diagnosis that she knows of, but she grew up being aware that he thought very differently from her and that led to her discoveries of the creative associations with dyslexia, mood disorders, and autism. 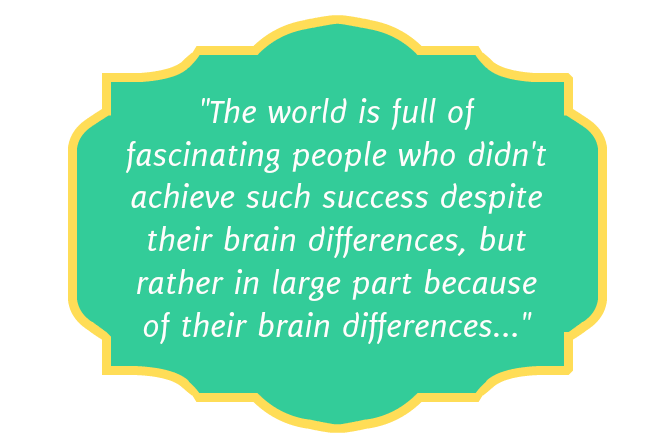 Gail recognized that many of these individuals not only overcame being “different” and having life struggles such as dyslexia, ADD, autism, depression, or anxiety, but some of their successes seem to result because of them. 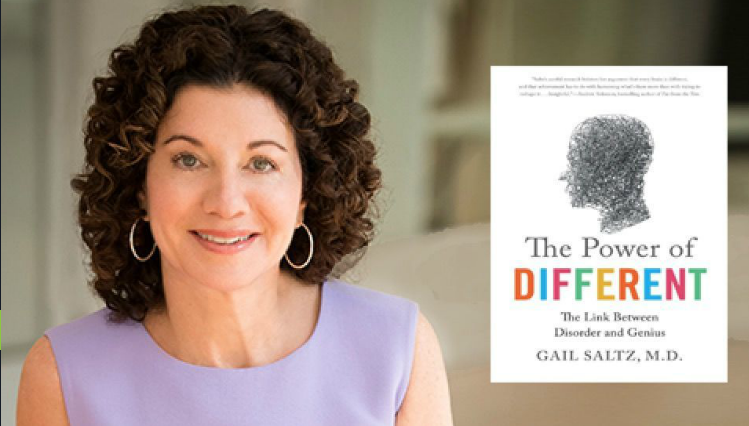 Our interview started off talking about how she became interested in the subject of her book, but I also had the opportunity to talk about how her growing realization of the benefits of being ‘different’ impacted her practice as a psychiatrist. Gail also talked about the implication of her work for schools and nurturing students’ strengths as well as what the implications can be for testing dyslexic students.